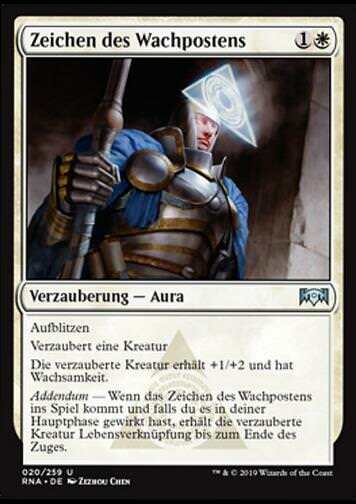 Bloodfire Infusion (Flammenblut-Infusion) inkl. 0% MwSt. 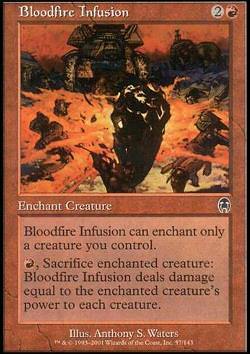 Kartentext: Bloodfire Infusion can enchant only a creature you control. R,Sacrifice enchanted creature: Bloodfire Infusion deals damage equal to the enchanted creature's power to each creature.